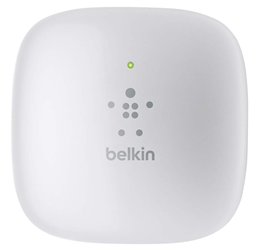 With the Belkin Wi-Fi Range Extender, you can expand your home network's wireless connection up to an additional 5,000 square feet. It's incredibly simple to install and is compatible with virtually any router, so there's no need to reconfigure anything on your home wireless network. It's the fast, easy way to expand your home wireless connection. 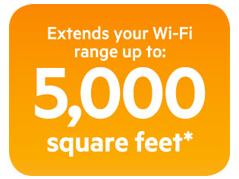 There's no complex setup with the Wi-Fi Range Extender. Just plug it in, find your home network, and you'll enjoy expanded wireless in minutes. 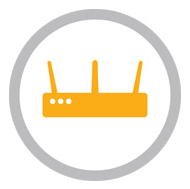 Simple Start installation means you can connect the Wi-Fi Range Extender from your from your Wi-Fi mobile devices such as tablets and smartphones, as well as your PC or laptop. 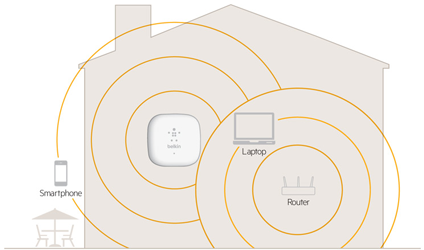 Get rid of dead spots in your home and enjoy "whole-house" Wi-Fi coverage. The Wi-Fi Range Extender delivers wireless network speeds of up to 300Mbps for fast browsing and streaming. The Wi-Fi Range Extender features a compact design that allows for easy placement that in most cases won't block the second socket in most wall outlets, unlike some other models of wireless range extenders. Compatible with any brand or model of home wireless router. 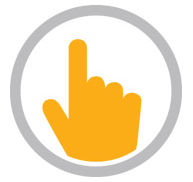 Just follow the simple start installation process to be up and running in a few minutes. 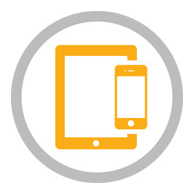 Experience a fast, reliable connection for your mobile devices, such as smartphones, laptops, and tablets, all over your home. With the Wi-Fi Range Extender, no room is off limits. Save on data plans by staying connected using your Wi-Fi instead of using valuable cellular bandwidth.